THE GREAT FOOD TRUCK RACE2 HAS FINISHED FILMING. THANK YOU TO ALL THE FOOD TRUCK FANS FOR FOLLOWING ME DURING THE JOURNEY. Please be sure to watch the Food Network on August 14! Season 2 for the Great Food Truck Race is being filmed right now HAS FINISHED FILMING. I was in Las Vegas, where one of my favorite OC Trucks, The Lime Truck was competing against other food trucks to stay in the Race. Please check out the posts on what I ate in Vegas from The Lime Truck, and some production photos of two food truck teams (Hodge Podge & Devilicious) “strategizing” their next move in Las Vegas. This segment is supposed to air August 14. The following week I made a VERY spontaneous trip with my husband (and dog @Perritolulu) from Brea, CA to Salt Lake City, UT. The drive wasn’t that bad… the trip took 10.5 hours each way, and you can click here to see what The Lime Truck was serving up there on Saturday. Please follow me on twitter for clues on the next filming location. I’ll try to post updates here when I “hear” them on twitter. If you click here, I’ve sorted the posts that are relating to the Great Food Truck Race 2 and the cities. If you do eat at the Lime Truck… Tell them you saw pictures of their food from “Callmemochelle’s” blog! It won’t get you anything… but MAYBE a laugh or two. Click here to see the information. 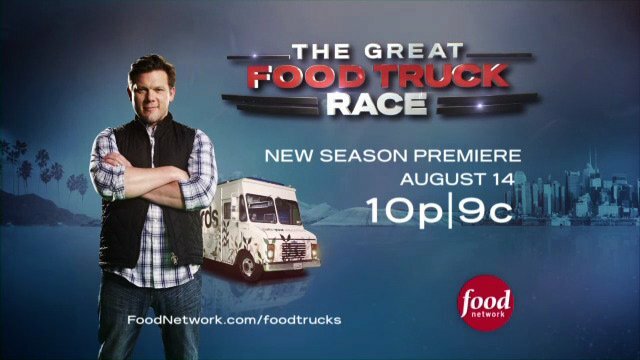 Follow #TheGreatFoodTruckRace or #Greatfoodtruckrace on Twitter to see where your favorite truck(s) will be. “The trucks determine their locations once they reach the city (on Friday) and determine the most effective way to promote/market that location. We cannot provide specific information. It’s a very underground/viral production,” a spokesperson said in an email. April 29- May 1: Salt Lake City Confirmed! The Salt Lake City Tribune reported that the Lime truck will be selling on Saturday and Sunday at the Petsmart “No More Homeless Pets Super Adoption” Event from Noon to 7 pm, so go to 389 W 1830 South, UT 84115. Rumor is the next stop after SLC is Denver. May 20-22: @DowntownMemphis :Tyler Florence will welcome around 10 in Court Square on Friday. Cooking around 1. Judging around 4. All day fun! #GreatFoodTruckRace. The Lime Truck will be outside @Bluefinmemphis at 135 S. Main from 4 pm -midnight. 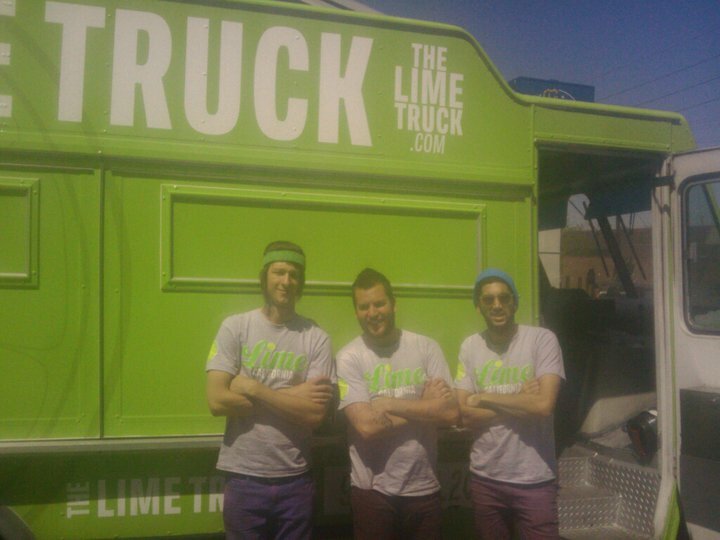 May 27-29 On Saturday, foodies can find the Lime Truck at Colony Square, corner of 14 & Peachtree. Time unknown but I’m guessing lunch til late.On Sunday it’s rumored they will be at Atlantic Station in front of the movie theater. The trucks are in Manhattan, Kansas right now. Now that I've read your review I wish I had had a chance to sample what Lime was offering, but the trucks were overwhelmed. At it's slowest there was an hour wait for each truck. During the “busy” time people were waiting for four or more hours. I was able to hit two trucks late Saturday night. Aww, sorry you didn't get to try them, Jonathan. I say when eating at a busy truck, you have to realize there's only a crew of 3 people in the truck, rather than a kitchen full of staff… but they're still trying to serve the amount of people as though it were a full restaurant. I'm in Memphis and would love to eat from the Lime Truck!! When will the trucks be in Memphis? As soon as I know or hear, I'll post or tweet. Thanks Kristin!!! Tip the guys well.. they need the extra $$ to stay in the Race.